During the seminar, Nasser Al-Abdul Ghani, QSE Market Operations & Control Director, delivered a speech in which he stated that the aim behind the launch of margin trading is to contribute in the development of the stock market performance and stimulate trading and liquidity. He added that the implementation of this initiative will enhance market liquidity and provide new financing channels for investors. Samer Abu Zaghla gave a detailed explanation on margin trading procedures, controls and requirements and explained that the brokers wishing to be licensed as Margin Lenders can submit their applications for QFMA’s approval, and once the member is licensed as a Margin Lender, it can perform Margin Trading activity at QSE. He added that the margin trading will allow investors to purchase securities that are partially financed by a loan or credit facility made available by a Margin Lender, a Member licensed to provide Margin Trading services. Established in 1995, the Doha Securities Market (DSM) officially commenced operations in May 1997. Since then the Exchange has grown to become one of the leading stock markets in the GCC region and for two consecutive years (2010, 2011), was the best performing stock Exchange in the GCC. 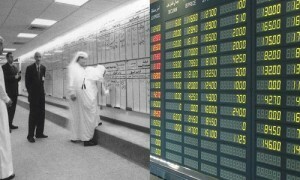 The DSM was later renamed the Qatar Stock Exchange (QSE). QSE currently has 43 listed companies and its market capitalization is over QR730 billion (US$200 billion).